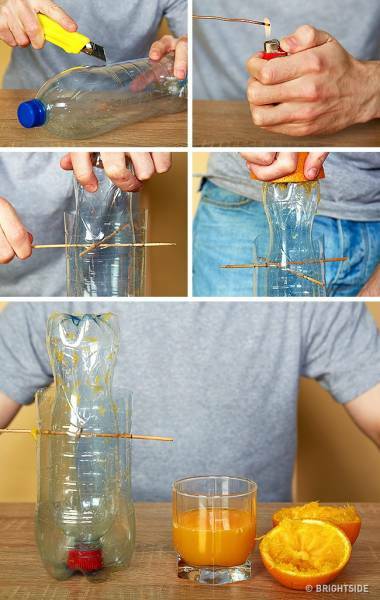 How to make it: Take 2 plastic bottles — a large one and a small one. Cut off the upper part of the larger bottle, and place the smaller bottle upside down inside it. Fasten the construction together with the help of wooden skewers or chopsticks. Your miniature juice squeezer is ready.